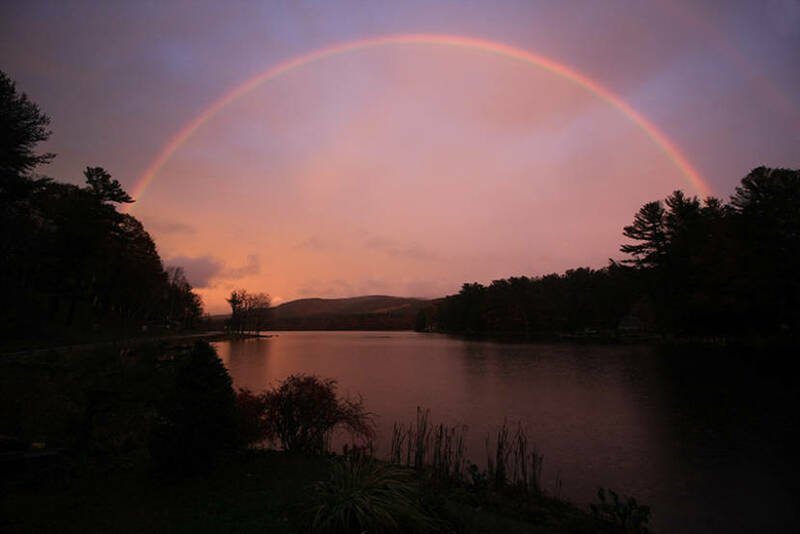 Just a few hours before the polls closed Tuesday, Nov. 6, a sign of hope appeared in the sky over Queechy Lake in Canaan, New York. Canaan, N.Y. — Just a few hours before the polls closed Tuesday, Nov. 6, a sign of new hope lit up the sky above Queechy Lake. The display was seen throughout the region, and folks were pretty amazed: Atheists crossed themselves. A prominent logician in Great Barrington jumped to conclusions. In Pittsfield, birds changed their tunes. And, as it was in the days of Noah, the spectacle inspired widespread feasting and unrestrained bacchanalian revelry.